Prolight + Sound Guangzhou (PLSG) is dedicated to providing a trade and information exchange platform for pro audio and lighting industry pros. 1,300 corporates successfully built expansive networks and explored the future develoments in 2018 edition. The Overseas Buyer Sponsorship Programme rewards international top buyers with a time-effective trip to PLSG. A range of complimentary benefits including travel sponsor up to RMB1,000, VIP lounge access, welcome pack, e-Catalogue and buyers guide will be offered to successful applicants. Apply now and let us pamper you! First time visiting PLSG? Get a travel sponsor up to RMB1,000 under Overseas Buyer Sponsorship Programme! The more days you visit PLSG19, the higher the cash sponsor you'll get! Click "APPLY NOW" below and submit your application by 31 December 2018. Qualified applicants will receive an official confirmation letter in January 2019. Share your joy of visiting PLSG19 with your peers! Tailor-made itinerary can be offered to our group buyers! The coordinators can come from different fields (such as agents, associations, chambers, corporate and media) around the world. The group delegate package details with a tailor-made proposal for different coordinators will be prepared upon request. Not a first-timer to Prolight + Sound Guangzhou? Club PRO membership is here to reward loyal visitors with a permanent VIP identity! Upon inviting 5 or more overseas connections to complete visitor registration by 31 January 2019, you'll get a mobile data SIM card! 1. Pre-register at the visitor online registration system. Once your registration is completed, click 'Invite' button to invite your overseas connections to complete pre-registration. 2. Input all email addresses of your invitees to request them to complete pre-registration. You must be a trade buyer and you and / or your company cannot be an EXHIBITOR of Prolight + Sound Guangzhou 2019 in order to be eligible for the Overseas Buyer Sponsorship Programme. You must be a first-time visitor to Prolight + Sound Guangzhou. The travel sponsor is offered on first-come-first-served basis. Each company will only be eligible for 1 single sponsorship offer. Your application does not automatically entitle you to this sponsorship programme. The qualified applicants will be informed by an official confirmation letter in January 2019. You have to visit the fair between the show days of 24 – 26 February 2019 for the redemption. This offer is neither transferable nor refundable. The organiser reserves the right to vary the terms and conditions, change or terminate the sponsorship programme without any prior notice. In the case of any dispute regarding the buyer sponsorship programme, the decision of the organiser shall be both final and binding. Delegate member must be a trade buyer and you and / or their company cannot be an EXHIBITOR of Prolight + Sound Guangzhou 2019 in order to be eligible for the buyer sponsorship programmes. 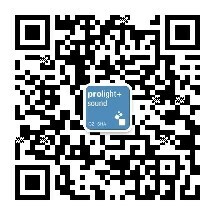 Delegate member must be a first-time visitor to Prolight + Sound Guangzhou. The travel sponsor is offered on first-come-first-served basis. Within a group, each company will only be eligible for 1 single sponsorship offer. Your application does not automatically entitle your delegate member to the programme. The organiser will inform group leader by an official confirmation letter in January 2019 together with visiting and redemption details. The organiser reserves the right to vary the terms and conditions, change or terminate the programme without any prior notice. Both referee and referrer cannot be an EXHIBITOR of Prolight + Sound Guangzhou 2019 in order to be eligible for the buyer sponsorship programme. The gift is offered on first-come-first served basis while stocks last. Confirmation letter will be sent to you in end of February 2019 if successful referral is made by 14 February 2019. The organiser reserves the right to vary the terms and conditions, change or terminate this programme without any prior notice. In the case of any dispute regarding the Referral Programme, the decision of the organiser shall be both final and binding.